The N.C. 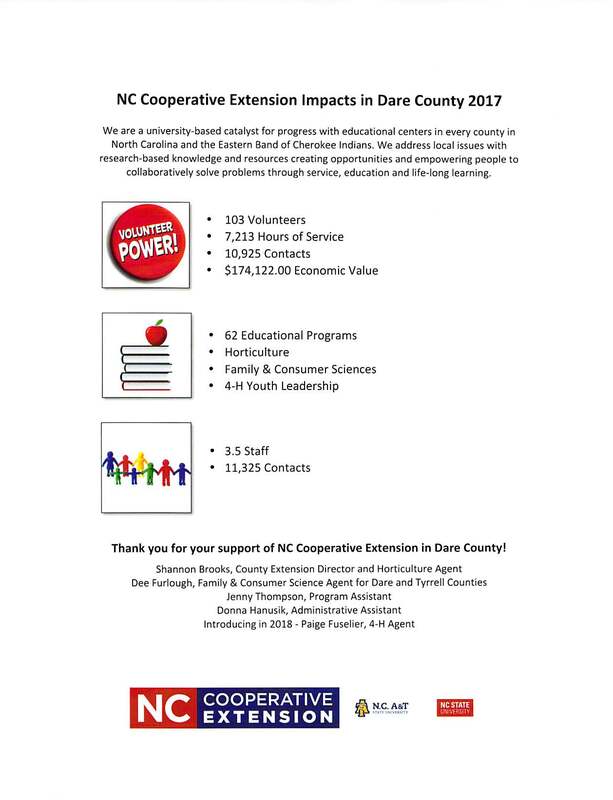 Cooperative Extension Dare County Center works to provide the citizens of Dare County with educational information to improve their quality of life. View the video below to see all the impacts that N.C. 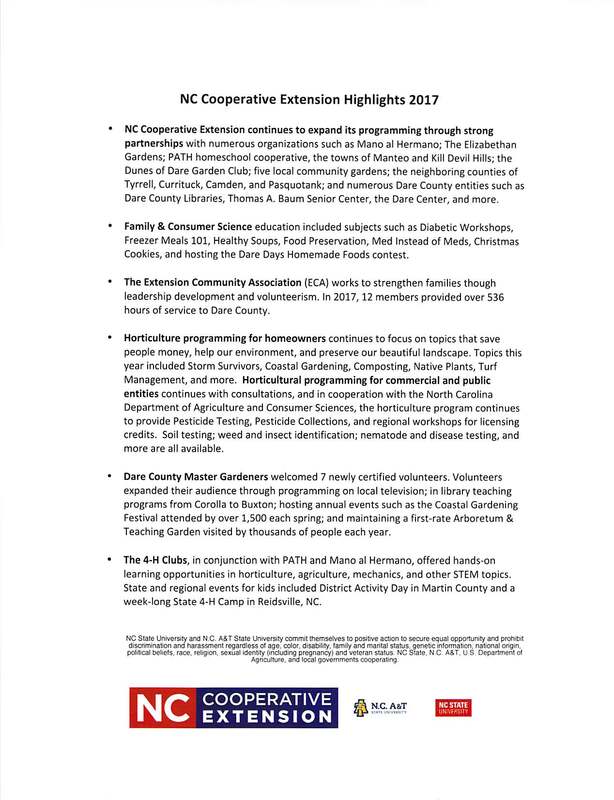 Cooperative Extension in Dare County made in 2017!